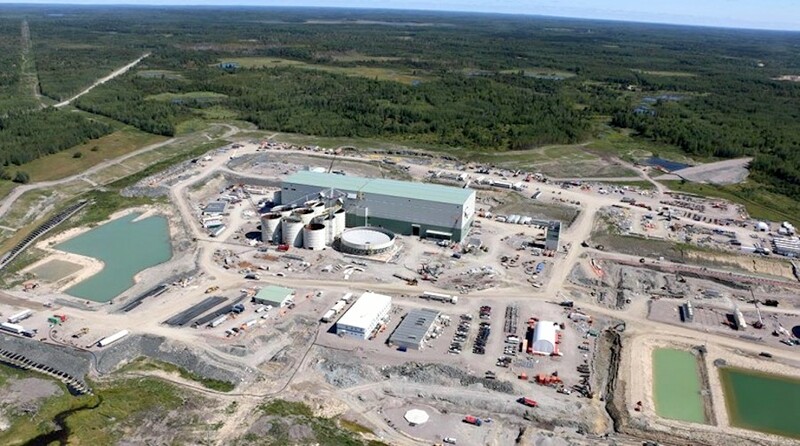 Canada’s New Gold (TSX:NGD; NYSE-MKT:NGD) said Tuesday it remains on track to begin operations at its large Rainy River project, located in Ontario, this September, with commercial production expected in November. “Through the second quarter, our team has both successfully commenced the staged commissioning of our process facility and delivered on our mining plan,” Hannes Portmann, president and chief executive officer said in a statement. “As the pit has opened up, our operations team has recently delivered further increases in the mining rate, including several days over 130,000 tonnes per day,” he added. New Gold has said it expects to produce 380,000-430,000 ounces of gold in 2017, potentially higher than the 381,663 ounces it generated last year, boosted by the start of operations at Rainy River. At full production, the mine is expected to generate an average of 325,000 ounces of gold annually, during its 14-year estimated mine life. In the first nine years of production, Rainy River would be mined as an open pit, after which operations will move underground.